Connect with a knowledgeable real estate agent today! If you're looking for real estate agents that you can rely on in Berkeley, CA, look no further than Berkeley Hills Realty. We know the community, and we know the best way to make you a part of it. Whether you are a seller or buyer, we can offer a wealth of community information and very helpful community links to assist you in making important real estate decisions. Give us a call today and let one of our real estate agents help you start your buying or selling process off on the right foot. 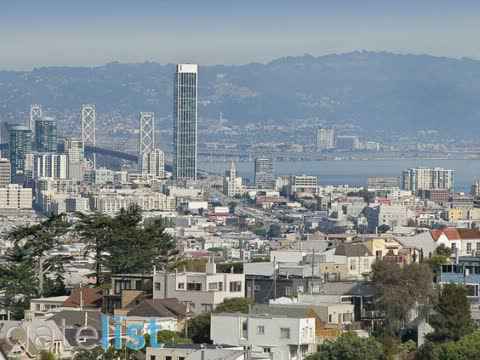 Berkeley Hills Realty is always cultivating up-to-date community information on Berkeley. We understand that when you're looking for real estate agents, you aren't simply looking for someone who is going to help you find a piece of property. You're looking for a guide to help you and your family get established in a new community. Sure, it's vital to find the perfect property. But it's equally important to know how you'll fit into your new town. With all of the community information you'll have at your fingertips, working with Berkeley Hills Realty is the best way to figure it out. Our Real Estate Agents know the East Bay. Because we live here. Working with a real estate agent is the best way to locate your dream home. In the Berkeley region, there are many homes for sale that come and go quickly on the market. You never want to miss a great deal or a chance to purchase the home of your dreams. Our real estate agents are here to make the home search and buying process as easy as possible! Having an agent on your side is helpful not only for finding a house you're interested in, but completing the necessary paperwork throughout the entire process. However, our most helpful asset is our vast knowledge of community information, being able to match you with the perfect neighborhood for you and your family! We Offer the Community Links That You Need! Did you know Berkeley, CA was named after Bishop George Berkeley and inspired by poetry – specifically his allusions to ancient Greece? We can help you learn even more about this beloved city. Connect with people through our community links in and around Berkeley which has great group activities for travelers of every interest and agenda, from sake tasting and San Francisco Bay dining cruises to world-class cultural performances and a calendar chock-full of seasonal Berkeley festivals and events. Be sure to contact us for other community links and information! If you have just moved into the Berkeley, CA region, our real estate agents can provide community links and information to help you get a sense of the community. Our community links can help get you accustomed to everything essential that you need to know before purchasing a new property. We make sure that every person who walks through our doors is well-informed and up-to-date with all the things the area has to offer. Location, location, location is the first rule of real estate. That’s why we provide community links to help you learn more about the neighborhoods in and around Berkeley. We can help you learn more about the schools, the community happenings, and more – all before showing you a single home. That way, you’ll find the right house in the right location. If you have more questions about our real estate services or community links, contact us today. If you're looking for additional community information about Berkeley, you've come to the best place on the web! We have many community links and resources listed below to help you become familiar with the Berkeley region. Check out some of the links listed below to learn more about the area. Connect with the Berkeley community through our community links, and get a feel for your new home! We have put together a variety of community links that will help new residents of Berkeley get a sense of the community and a good feel for what's going on in the area. If you're new to Berkeley, take a look at the community information below to stay up to date with all the region has to offer. Architecture: Berkeley's gorgeous architecture, featuring iconic brown-shingle homes and stucco bungalows, was designed with purpose and intention by such famous architects as Bernard Maybeck and Julia Morgan. Public Transportation: It's easy to get where you need to go with reliable transportation options, such as the AC Transit bus lines and three BART stations in the city, along with easy access to the freeway. Biking and Walking: Berkeley is one of the most bike-friendly cities in the nation, with myriad bike paths and bike boulevards designed to make it easy to get around. Beat the morning commute and join the Bikestation program at your nearest BART station! And more: visit VisitBerkeley.com and find out more about the city and reasons to relocate! Browse all of these community links to get a good understanding of Berkeley, CA! With this community information, any new resident should be well on their way to calling the region home. If you're unfamiliar with the Berkeley, CA region, our real estate agents will help you get accustomed to everything you need to know before purchasing your new property. We have ample community information available for our clients and our agents are available to answer any questions that you may have. At Berkeley Hills Realty, we understand the stress and excitement of buying and selling real estate. That's why we'll be with you every step of the way. We strive to deeply understand the needs, goals, and circumstances of every person who walks through our doors. We're different from other real estate agents because we're dedicated to enriching our East Bay communities. And we know exactly how to do this, because we live and work right here in Berkeley, CA. People who live here in the East Bay love its unique blend of urban, residential, and university neighborhoods. The area’s sophistication, natural beauty, and access to cultural venues make it a delightful place to live and work. We value the quality of life in the East Bay and are happy to make helpful community links accessible to others who love it as much as we do. For information on East Bay living – from cultural events to hiking trails or local hospitals to public transit information – visit our user-friendly website as a neighborhood guide. You will find all of the community information you need to make your way around the beautiful Berkeley, CA area. If you are interested in buy or selling property in the Berkeley and East Bay area, call the real estate agents at Berkeley Hills Realty. We can help you discover how well you can fit in to the community we know and love. For helpful community clinks and community information give us a call or visit us online. You can view our homes for sale listings! Berkeley Hills Realty has represented both buyers and sellers in the East Bay for more than 50 years. We combine the latest technology and thorough local knowledge to create an experienced and talented team of agents that provides an incomparable level of personal service to customers. We serve Berkeley, Albany, Kensington, El Cerrito, Richmond, Oakland, Piedmont, Emeryville, Alameda, Lamorinda, Alameda County, Contra Costa County and the surrounding areas. Berkeley Hills is a Certified Bay Area Green Business!